There have been a few changes around here in the last 4 months (including my work schedule - which has clearly left minimal time for updates). One of the most exciting has been our living room. I hope to share a bit more in depth about my design for this room some day soon, but how incredible is this sofa we had reupholstered? 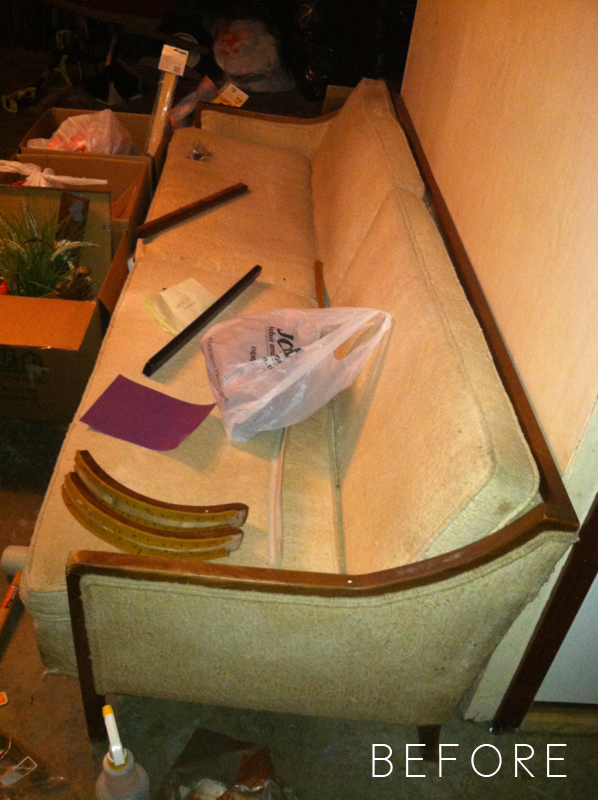 It's a 1960s Tuxedo style Drexel sofa that we rescued for $50. To. die. for.